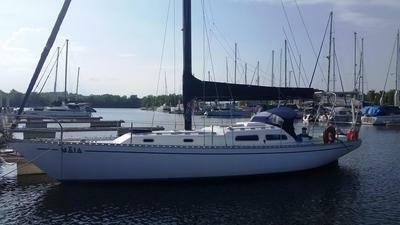 'MAIA' is a great little sailing vessel, 38 ft (11,6 meters) for 7 tons built in fiberglass. She is a Pacific 38 built in New Zealand in 1976 by Smith Boatyards in Whangarei. 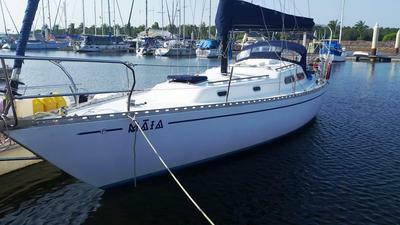 She is a perfect boat for a solo sailor or a couple. We've had a perfect sailing trip with her around the Pacific and SE Asia for the last 2 years but we need to come back to Europe in the next months, so that's why we are looking for a new owner for 'Maia'. 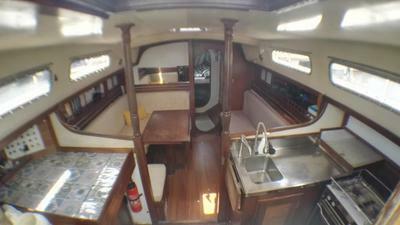 She is a perfect liveaboard boat and she is also ready for longer passages and oceans crossing. 2nd mooring: 100m of 8mm chain + 2nd CQR anchor 35 Lbs. 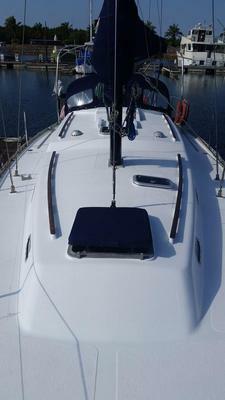 Autopilot RAYMARINE ST2000+ (new 2017). All safety equipments (life jackets, flares...). 'MAIA' is currently in Langkawi, Malaysia.